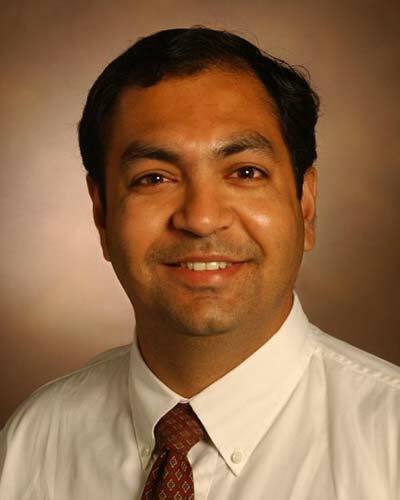 Dr. Pratik Pandharipande is a Professor in the Department of Anesthesiology, Division of Critical Care at Vanderbilt University School of Medicine. He is Board Certified in Anesthesiology with a Subspecialty Certification in Critical Care Medicine. Dr Pandharipande graduated with a MB, BS (MD) from University of Nagpur in India in the 5th percentile of his class. After completing a Research Assistantship at the University of Pittsburgh, he completed an Anesthesiology Residency at Saint Barnabas Medical Center, NJ. From there, he entered and completed a Fellowship in Critical Care – Anesthesia at Vanderbilt University Medical Center. Dr. Pandharipande has also completed a Master in Science and Clinical Investigation. Dr Pandharipandes' clinical focus is divided between ICU consultancy in the Surgical, Burn and Neurological ICU at Vanderbilt University Medical Center. Dr Pandharipandes' interests are focused on sedation in the ICU and the role of sedative medications in delirium and cognitive impairment in critically ill patients. He is funded by a RO1 from the NHLBI. For more details of his work, please contact him for a copy of his Curriculum Vitae.